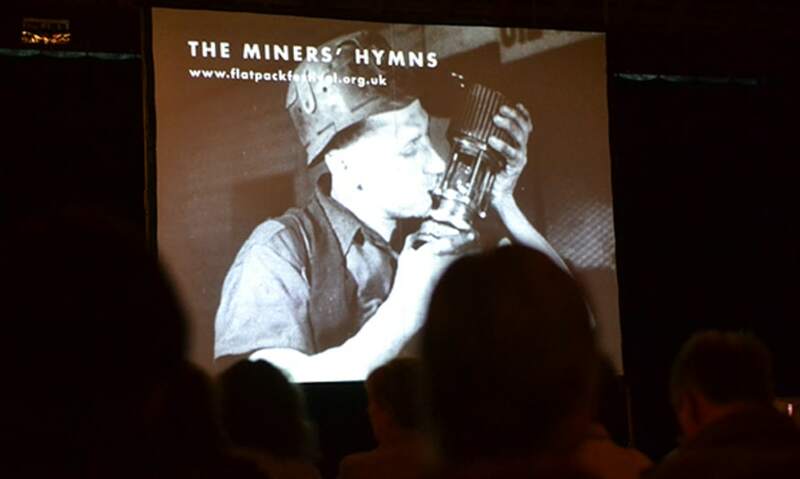 On Monday we held our first screening of Bill Morrison's The Miners' Hymns, in the atmospheric surroundings of Coalbrookdale Museum of Iron. Even before arriving we knew we'd find an enthusiastic crowd - all the advance tickets had been snapped up a week beforehand - but nothing prepared us for the reaction that the film provoked. Setting the scene, senior curator Matt Thompson provided a whistlestop tour of the local area's mining heritage; a landscape of small-scale family-owned pits very different from the 'big coal' we'd see later on. Then after an archive compilation provided by MACE, including footage of Ironbridge and the Black Country, it was time for the main feature. 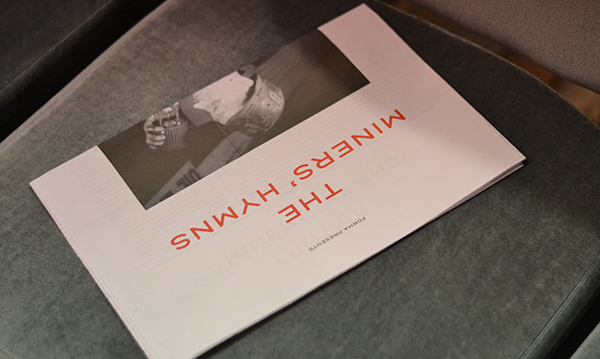 Avoiding any obvious narrative or strict chronology, The Miners' Hymns weaves together film material relating to mining in the north-east from across the twentieth century, climaxing with a parade into Durham Cathedral that must have brought the house down when the film premiered with live accompaniment in the cathedral itself in 2010. Even here in Shropshire there was a strong sense of emotional engagement from the audience, pulled along by Morrison's editing and a beautiful brass score by Icelandic composer Jóhann Jóhannsson. Talking to people afterwards, it was clear that the film had hit home. One man, a miner for sixty years, was lost for words, while a woman talked of losing her father in the north-east coal-pits as a child. Putting on events like this is a real privilege. We're off to Polesworth this month, and then on to Burntwood and Bilston in November. This is just one part of a wider UK tour put together by Forma, who commissioned the film; if it turns up in your neighbourhood, do try and catch it.